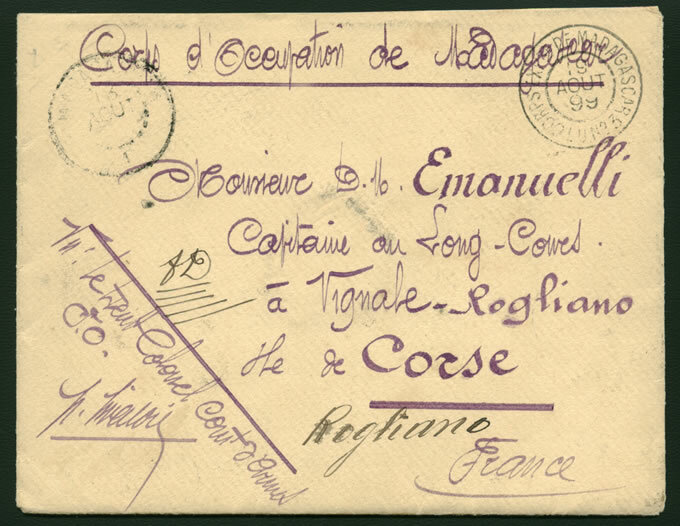 1899 2nd FRENCH EXPEDITIONARY FORCE: SOLDIER'S LETTER endorsed "Corps d'Occupation de Madagascar" addressed to France. Countersigned by Lt Col commanding at lower left. Unit cds at upper left. VF, attractive, scarce.